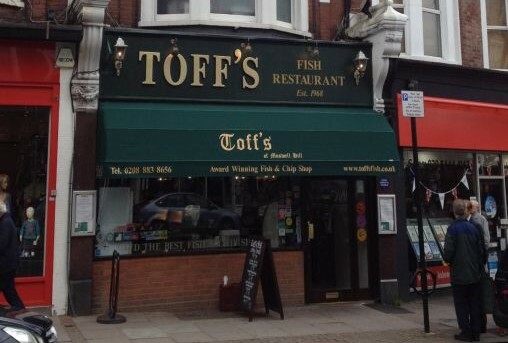 Located on the top of Muswell Hill is the delicious fish and chips restaurant Toff’s. 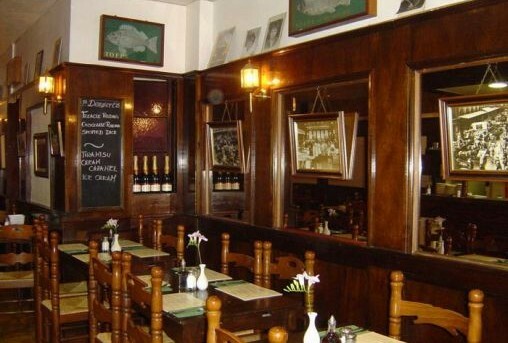 There is a fantastic variety of different fish, soups, sausage, sides,deserts and more. The staff are extremely friendly making the customer feel welcome and wanting to come back for more, especially for the light and scrumptious Tiramisu. This award-winning fish and chip shop is the perfect place to have a great bite to eat while at a wallet-friendly cost. 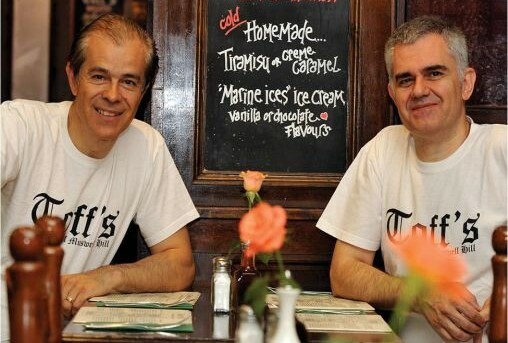 Send an email to Toff’s of Muswell Hill. Went here my first night in London and it was amazing food for a great price! The owner came up and talked to my friend and I. We felt truly welcome and everyone was very friendly. Definitely going back!